When people think of diversity, they generally think of racial and cultural differences and numerous College of William and Mary student organizations aim to create a more diverse campus community. Recently, the College has begun working to increase student understanding of a different type of diversity — neurodiversity. Neurodiversity is the practice of acknowledging differences in learning. The College’s Disability Services Office currently works with 252 students with learning disabilities, in addition to an average of 25 temporary disability cases every year. One professional College administrator and one half-time graduate assistant cover the office. The Disability Services Office serves students with specific learning disabilities such as dyslexia, dyspraxia, dyscalculia, dysgraphia, Non-verbal Learning Disorder, visual processing disorder, and central auditory processing disorder. They also work with students that have attention deficit disorder, Tourette’s syndrome, mobility limitations, chronic health conditions, vision impairment, hearing impairment, speech disorders, arrested addictions and autism. 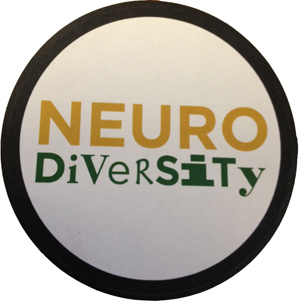 As a part of I AM W&M Week 2013, the Student Assembly is bringing speakers to campus to speak about the importance of understanding the value of neurodiversity. On April 8, disability rights activist and Georgetown University student Lydia Brown gave a lecture entitled “Politicized Disability and the Crisis of Disabled Oppression.” During her talk, Brown described the realities of life as a college student who learns differently than others. According to Brown, people shouldn’t look a cure for learning disabilities, but instead should seek to change society’s approach and understanding of neurodiversity. She wants students to become allies with those who have learning differences. Associate professor of American studies Karin Wulf was inspired to create the College’s Neurodiversity Initiative last spring after repeatedly interacting with students who struggled academically because they learn differently than the average student. She thought these students were not receiving adequate advising on campus. Since Wulf began the campaign, students, faculty and administrators have joined the cause. The initiative has worked with academic advising and faculty in order to make the campus a more hospitable environment for students with cognitive differences. Senior Staff Writer Ariel Cohen '14 is a sociology major from Arlington, Va. She was previously Chief Staff Writer, News Editor, and Associate News Editor.